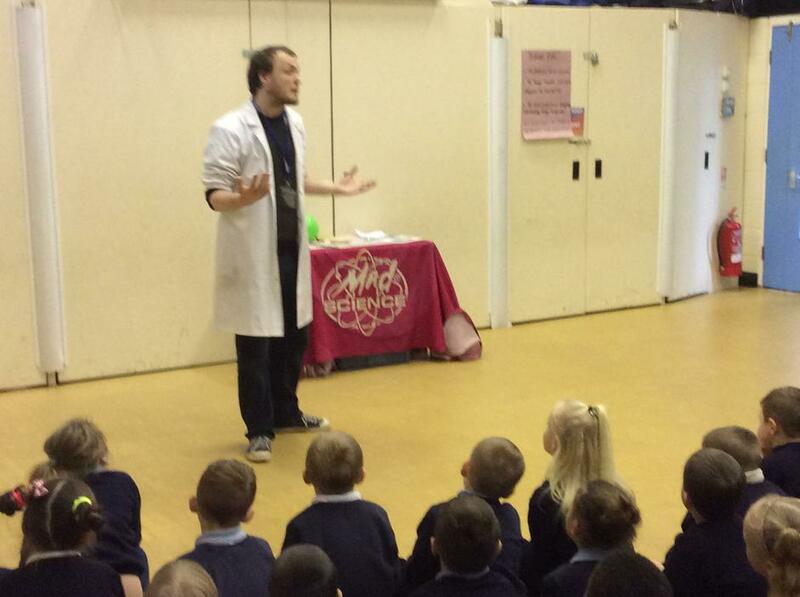 We had a fantastic treat on Thursday, when we had a special visit from Charlie from Mad Science! Charlie treated us to a demonstration of how sound is produced, which involves making a 'wobble', or vibration in the air. Everyone got involved in creating a human sound wave by completing compressing (squeezing) and expanding (stretching) actions across the hall. 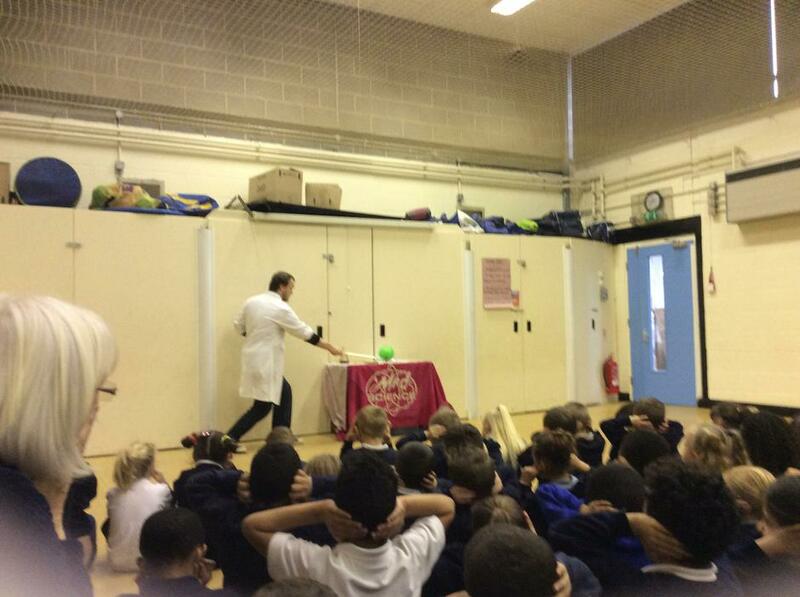 Charlie then showed us what happens when you have a large sound wave by placing a hydrogen-filled balloon near a flame. 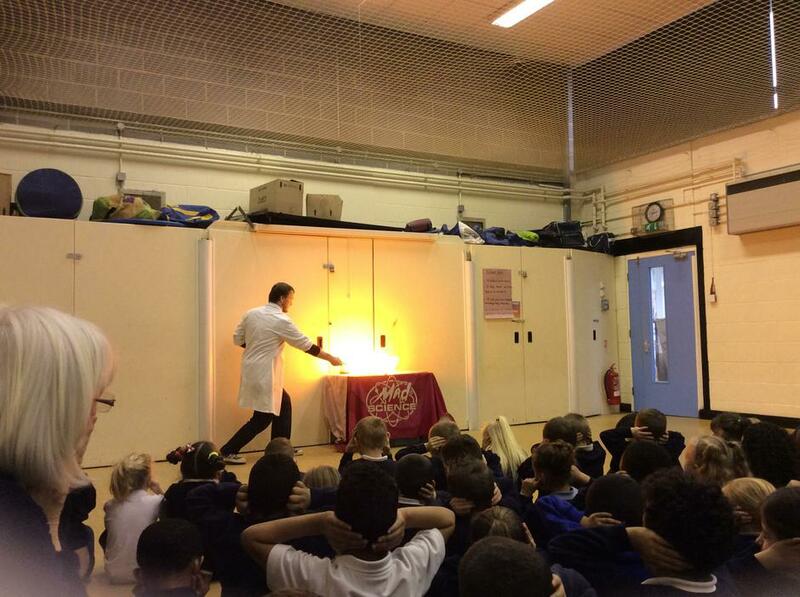 The results were explosive! 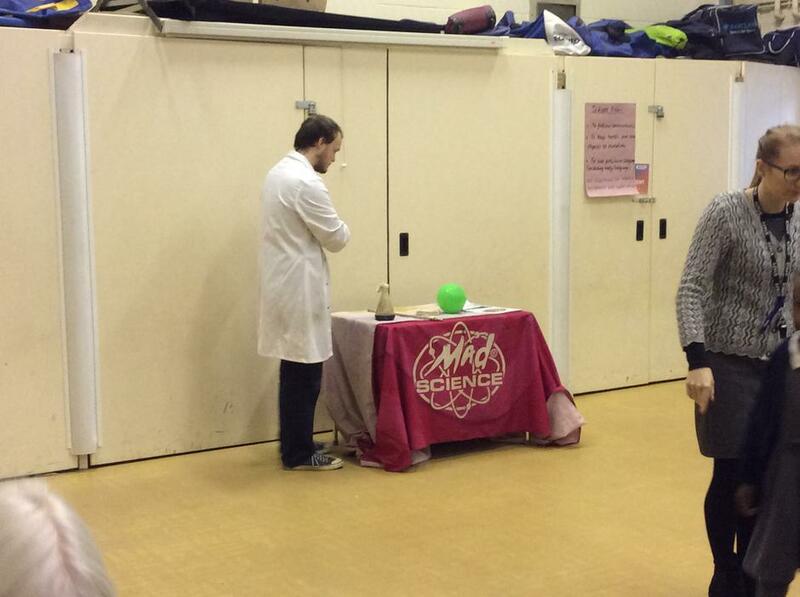 Mad Science are planning to host an after-school club, starting after half-term. 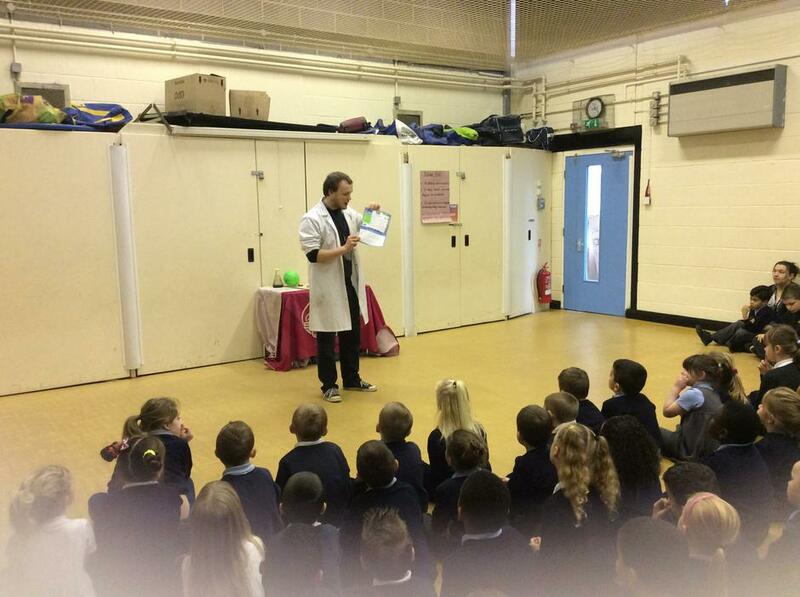 If you wish to get involved, please fill in the Mad Science form that your child will have been given in class. Please return the form directly to Mad Science, not to the school office. Please note that places are limited and are given on a first-come-first-serve basis.